Observation - Reed Canary-grass Seed - UK and Ireland. Description: A slightly strange identification. Three types of seeds found in bird faecal samples. A slightly strange identification. 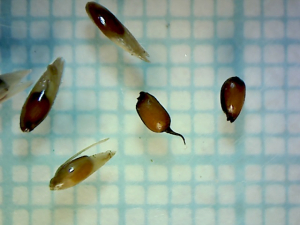 Three types of seeds found in bird faecal samples.